Due to the snow, we will not be collecting residential garbage today. Instead, we will collect it on Saturday, March 9th. Apple Valley Sanitation offers weekly service to the residents of Johnson County. Service is also available in select parts of Lawrence County. Commercial service is available. 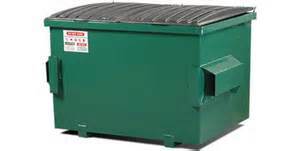 Dumpsters are available in several sizes to meet you business' needs. Roll-off containers are available in 30 and 40-yard sizes to fit your project. We will deliver to your home or business site.